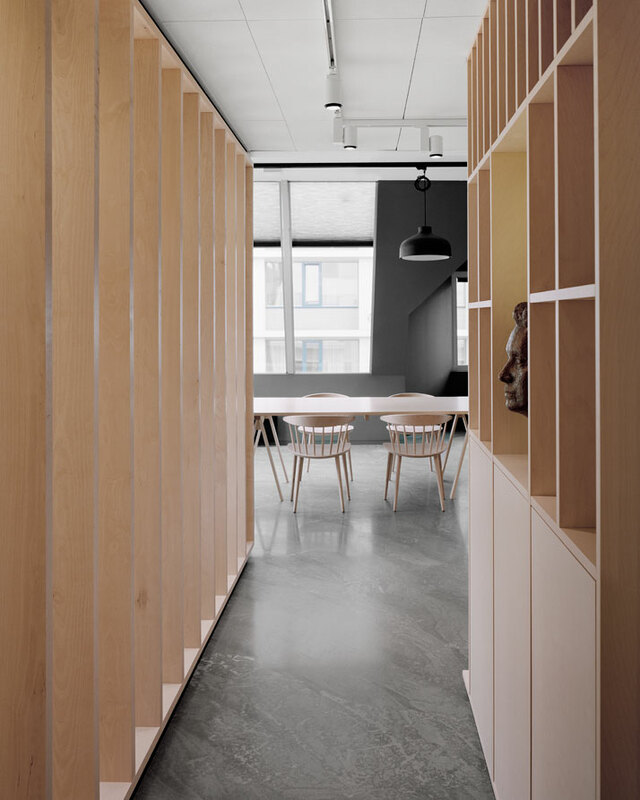 The goal of the fundamental spatial office model defined in the mid twentieth century has resulted in the maximum number of people working in a defined space for maximum productivity where sharing space shoulder to shoulder with colleagues is the norm. As a result, the typical office operation and basic space functions are mostly consistent around the globe; people, papers, files and process are always moving, but the physical space remains static. 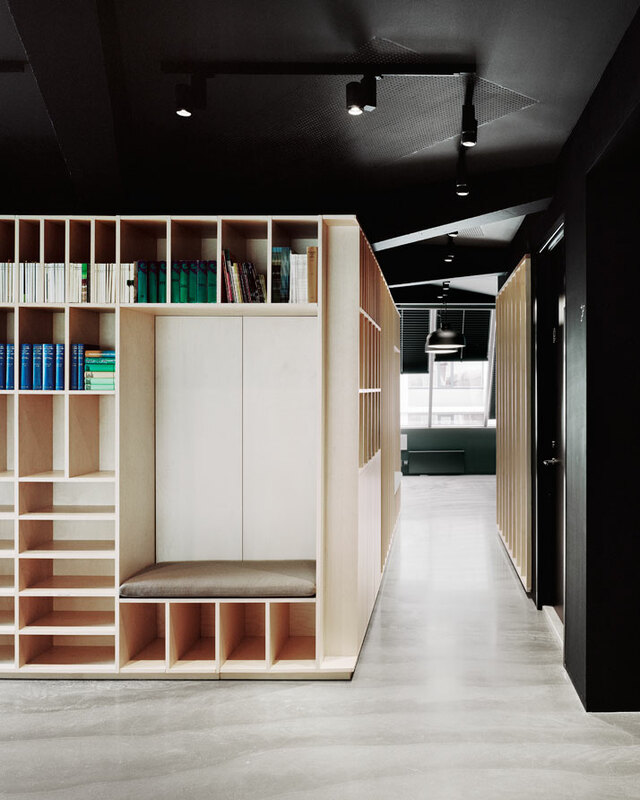 The minimalist office space for the Bergen International Festival in Norway designed by Arild Eriksen and Joakim Skajaa however, follows a unique and intriguing new model. Dating back to 1953, the Bergen International Festival is a music and cultural festival held in Bergen, Norway, in late May and early June each year and is the largest of its kind featuring a wide range of events in music, theater, dance and visual arts performed by participants from all over the world. 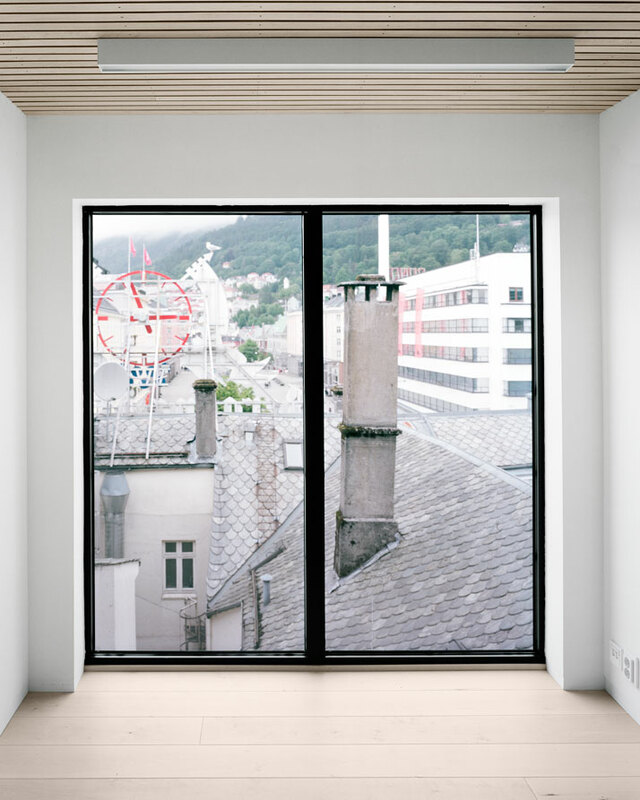 Events are hosted all over the city - in the Grieg Hall and Haakon's Hall, in the four composer homes on Siljustøl, Trolhaugen, Lysøen and Valestrandsfossen as well as in a number of the city’s churches, streets and squares. As planning for the festival requires a full time staff working throughout the year, a unique space was needed that was tailored to all their processes. 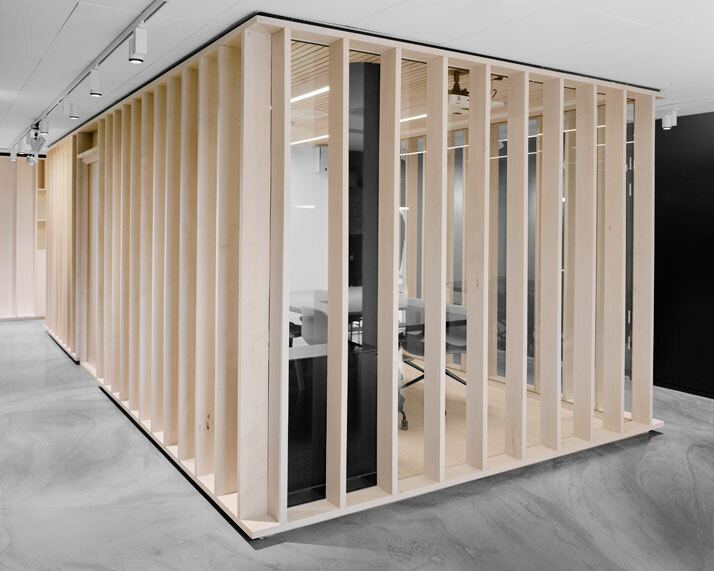 The redesigned Bergen International Festival Office by Eriksen Skajaa Architects involves a sequential process divided into phases (research, brainstorming, planning, etc.) which requires different staffing needs and space configurations in each and every phase. The new office is based on a floor plan where the space is flexible and changes according to which phase the staff is currently in. By changing the premises throughout the course of the year, the space is thereby tailored to afford the volume of people and interactions needed based on their program. 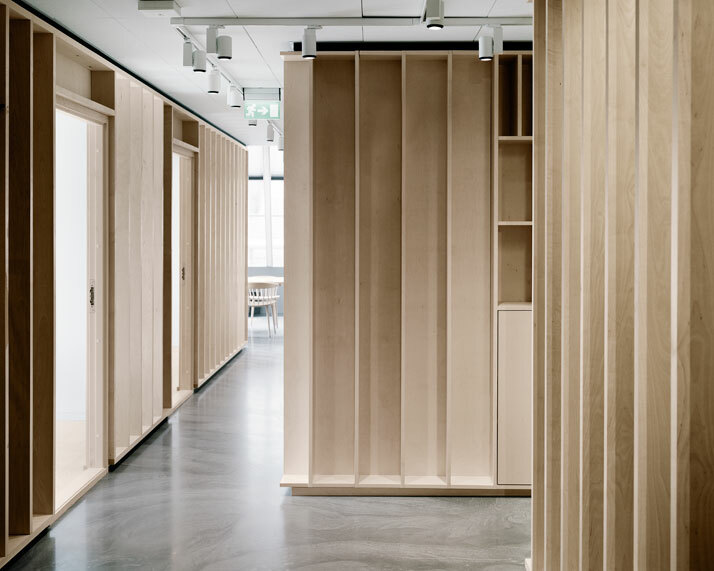 To further accentuate this transitional and process oriented lifestyle, Arild Eriksen and Joakim Skajaa opted to define their architectural language with light coloured wood framing grids and expose them to show the natural state of incompletion. The result is a Wit natural and open space that lends itself to a work environment where the focus turns towards the activity itself.